Southeastern United States, Dominican Republic. 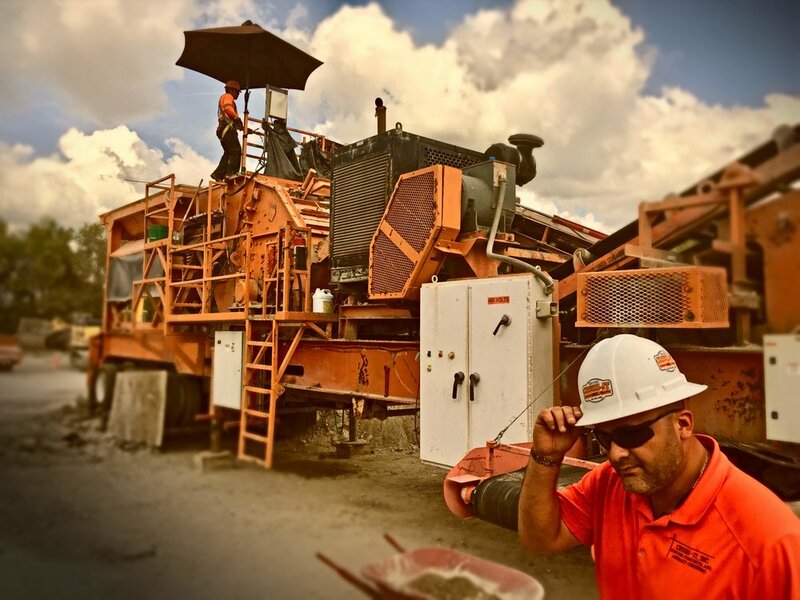 Custom Crushers turns old concrete and asphalt into reuseable aggregate by using heavy equipment to crush the used material. Manager John Wohlwend found opportunities for growth across the Southeastern U.S., but soon their far-flung jobsites outgrew their ability to manage the work. “We had to drive around and pick up paperwork from crews individually—and these jobsites could be two states away,” John explains. “The information we got was often inconsistent. We tried PDF forms, but that left the info stuck inside the form, and we still had to re-key everything back at the office.” John and his team needed a custom app that could collect data and manage workflow from the field, and then make that data immediately available to the management team and the back office. — Production Tickets produces countersigned receipts for customer. — Time Cards manages foremen & staff, per diems and auto-computes mileage credits. — Equipment tracks everything on the jobsite via GPS and barcodes, including hourly use. — Parts keeps inventory for belt replacements, breaker bars, backhoe teeth and more. Contact: Gianna Harum-Alvarez, 877-66-small, x39, gianna@smallco.net.